and on 14 June 2003 at Wodonga. 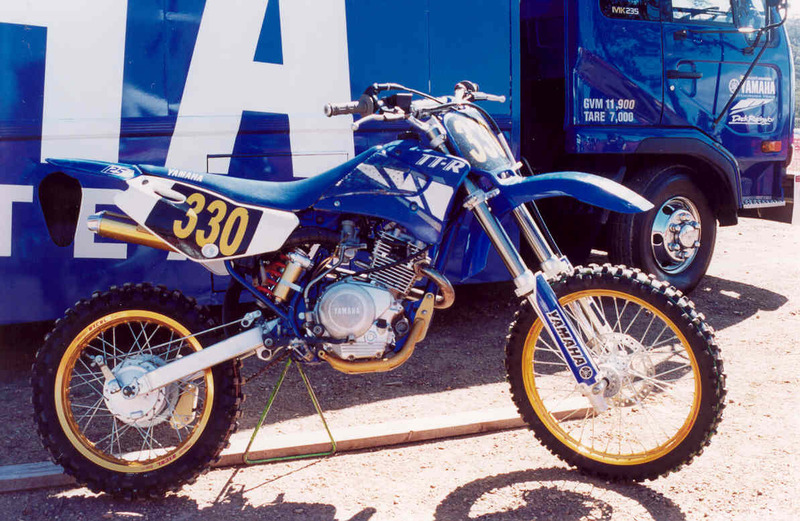 The rear shock is a highly modified Yamaha TY250 shock with a remote reservior. 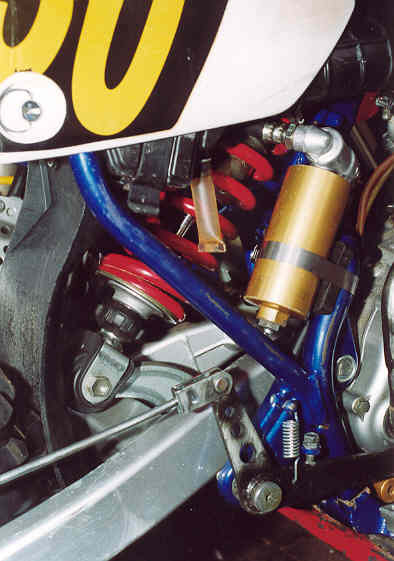 The shock has adjustable compression and rebound and is fitter with a BBR spring. Total rear travel is nearly 11 inches as the shock is longer in overall length and total shaft travel is longer. 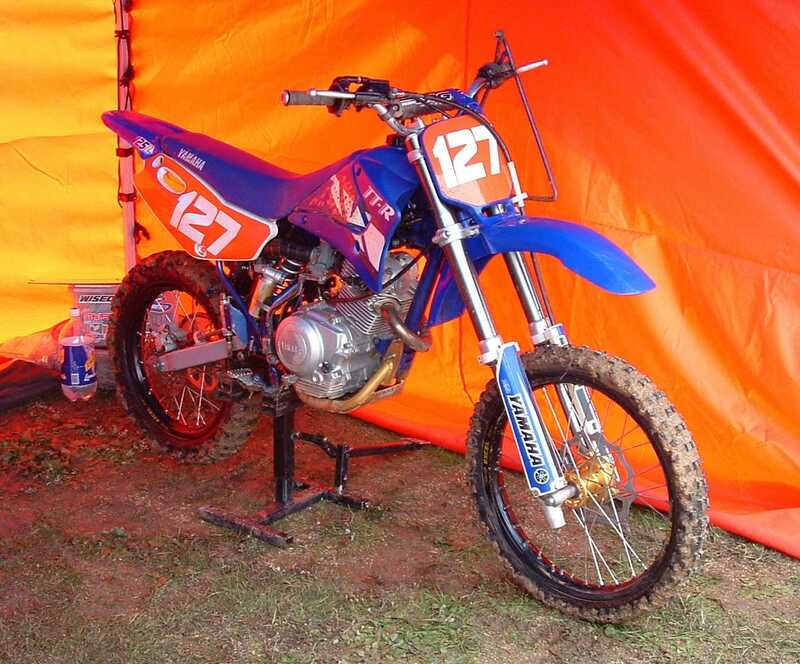 This balances out the bike nicely with the longer Yamaha YZ80 forks. 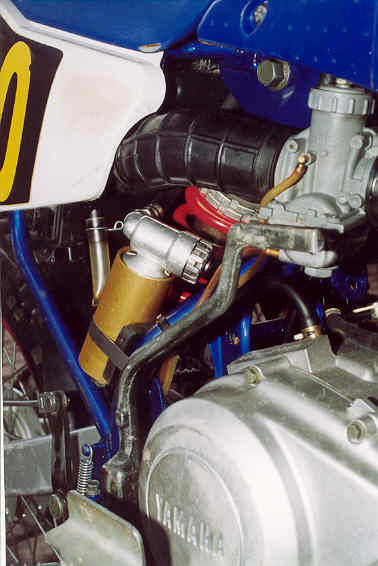 In this picture you can see the shock compression adjuster and the Mikuni carb. There is now a master cylinder for the rear disc brake now here. Pictures coming!